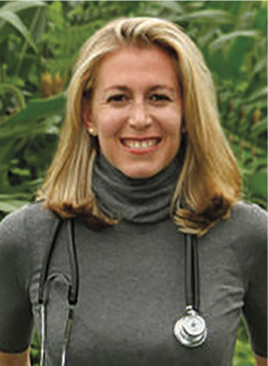 Dr. Cohen is a medical doctor, rheumatologist, environmental health specialist and book author. See her blog at thesmarthuman.com and follow her on Facebook, Twitter and Instagram @thesmarthuman to keep learning about toxins. There are things you can do right now to reduce your exposure to toxic chemicals. Many of the products in your home are filled with fragrance chemicals, antibacterial chemicals like triclosan, preservatives and propellant chemicals, pesticides and nonstick chemicals. These chemicals are not tested for safety, and cleaning products in the US are not regulated for safety or toxicity. It’s a free-for-all. Even the word “fragrance” or “perfume” listed on a label is considered proprietary so you as the consumer are not allowed to know the actual ingredients. Added fragrance can contain hundreds of harmful chemicals that get into the body and affect the normal workings of the endocrine and immune systems. They can even cause difficulty with breathing and trigger asthma attacks. After an intravenous line into a vein, the second fastest route into the body is inhalation through your mouth and lungs, and then right into your bloodstream, like the oxygen we breathe. Synthetic chemicals that we breathe in are especially harmful for pregnant women and children. Being mindful of these toxic exposures can keep everyone in your household healthier. 1. Try to reduce the use of air fresheners, and for cleaning, use natural products like white vinegar, water and sea salt to scrub sticky surfaces, with lemon juice or natural lavender oil added for fragrance. 2. If the temperature outside is reasonable and your pollen allergies are not too bad, open up your windows for at least 15 minutes every day. 3. Remove the fake air fresheners in your home —I’m talking about aerosols, diffusers, carpet powders—and any products that have synthetic ingredients. Look for 100% organic cleaning products, candles, incense and even laundry detergent. 4. Vacuum weekly with a HEPA filter vacuum because household dust has been found to contain hundreds of chemicals that come from products we use in our homes every day. Children and household pets have been shown to have the highest levels of many chemicals in their body because they’re on the floor where dust collects and sticks to toys, fingers and paws. 5. Add household plants to clean the air such as money plant, mother-in-law’s tongue, dracaena, and spider plant. 6. Take off your shoes before you enter your home to avoid tracking in pesticides and other outdoor chemicals. 7. Remove carpeting and carpet backing, and replace with hardwood floors, not vinyl. We spend 12-18 hours a day inside our homes or workplace, so let’s try to clean up the air so we can all breathe easy and improve our health.